Peel off the skin of raw bananas. 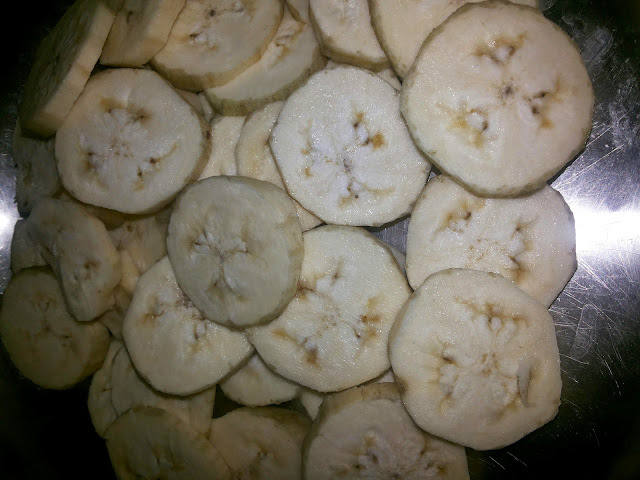 Cut the bananas into round shaped half inch thick size pieces. Heat the cooking oil in an iron kadai and add mustard seeds.